A new graphic novel from the Eisner Award-nominated creator of MERMIN that deftly navigates loss, vengeance, and acceptance! 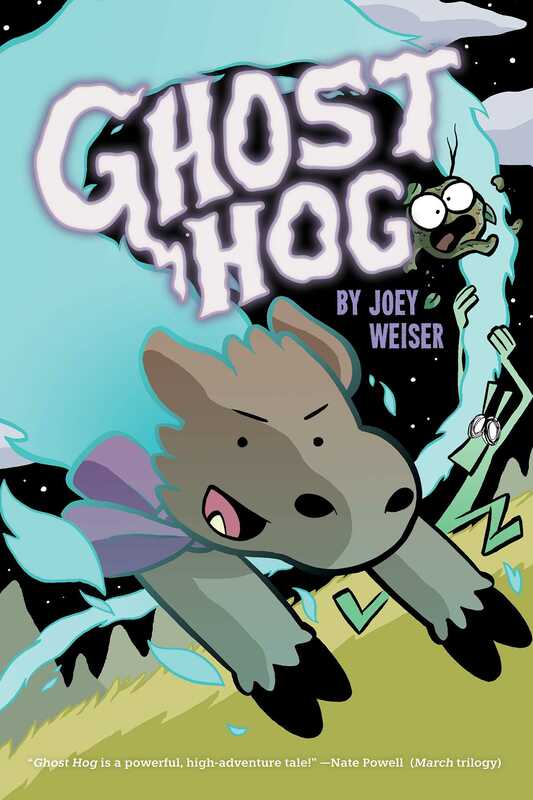 Truff is the ghost of a young boar, fueled by fury towards the hunter who shot her down. She has a lot to learn about her new afterlife, and thankfully the forest spirits Claude and Stanley are there to guide her! However, they soon find that her parents, along with their fellow animal villagers, have been kidnapped by the malicious mountain demon Mava! Truff wants to help, but… the hunter is finally within her grasp, and if she lets him go, she may never get her revenge! Is vengeance all that being a ghost is good for? Or is there something stronger keeping this little pig tethered to the living world? "Weiser’s standalone tale infuses simply drawn animal and spirit characters with emotional deliberation about navigating anger and deep inner turmoil."